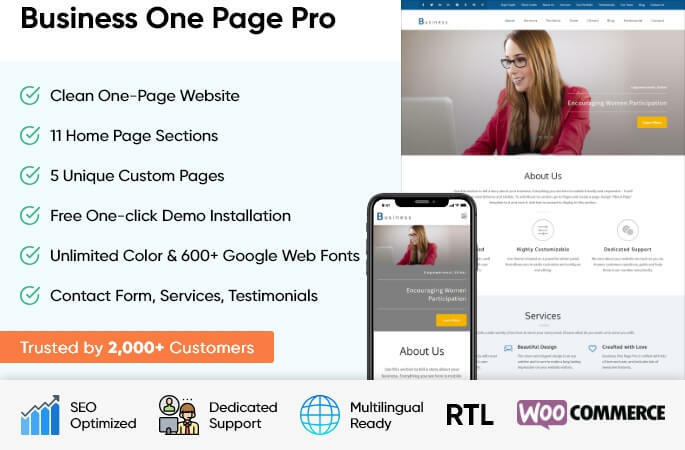 Business One Page Pro is a stunning one page WordPress theme excellent for businesses, creative agencies, corporations, and freelancers, who are looking to grow their business. Business One Page Pro is mobile friendly (responsive design), loads fast and optimized for SEO. With a professional design and lots of useful sections and top-end features; Business One Page Pro can help you make a great impression and grow your business online.